When Anna Winters made the fateful decision to return to school, she packed a lot of anxiety along with her books. 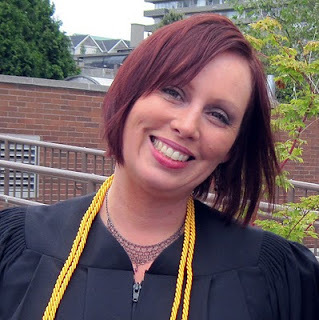 She clearly got the hang of it; on June 3, Winters graduated from Douglas College’s Health Care Support Worker Certificate program as the recipient of the Lieutenant Governor’s Silver Medal. This prestigious medal is awarded on behalf of the Honourable Lieutenant Governor of British Columbia to a student who has achieved high standing in a vocational or career program of less than two years duration, and who has contributed in a positive way to the college or community. Winters finished her program with an overall Grade Point Average of 4.23 out of a possible 4.33. The medal caps off an eventful year for the Coquitlam resident, starting with her decision to return to school. It wasn’t always easy, as Winters was forced to juggle the demands of school with work and raising two kids. For the moment, Winters is finishing off her practicum with a local psychiatric care facility, even as she basks in the glow of her medal win.